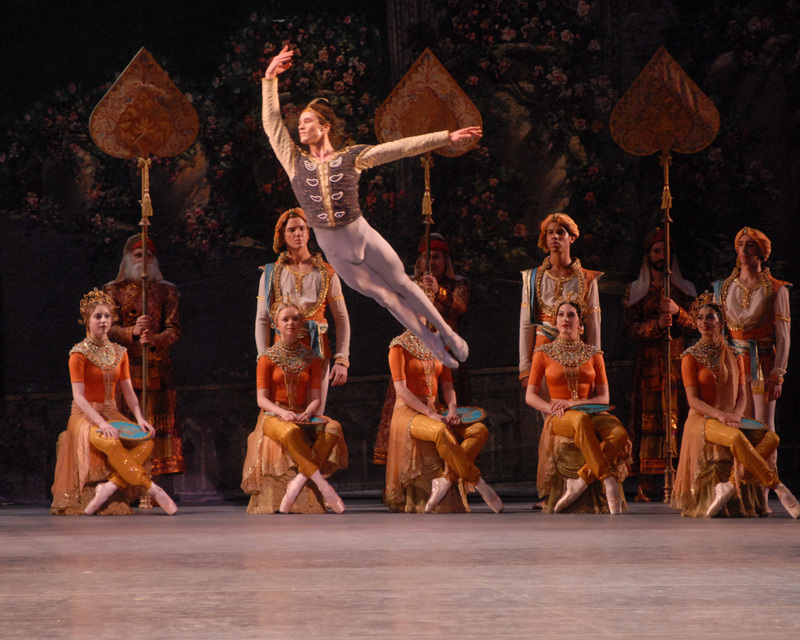 La Bayadère was originally staged in four acts and seven tableaux by French choreographer Marius Petipa to the music of Ludwig Minkus. The ballet was staged especially for the benefit performance of the Russian Prima ballerina Ekaterina Vazem, who created the principal role of Nikiya. From its first performance in 1877, the ballet was universally hailed by contemporary critics as one of the choreographer Petipa’s supreme masterpieces, particularly the scene from the ballet known as ‘The Kingdom of the Shades,’ which became one of the most celebrated pieces in all of classical ballet. By the turn-of-the 20th century, ‘The Kingdom of the Shades’ scene was regularly extracted from the full-length work as an independent showpiece, and it has remained so to the present day. The Music Center welcomes the return of American Ballet Theatre (ABT) with the company’s production of the 19th century classic ballet, La Bayadère, which will be performed at The Music Center’s Dorothy Chandler Pavilion for the first time from July 13 – 15, 2018. The final engagement of the 15th season of Glorya Kaufman Presents Dance at The Music Center, La Bayadère is set in royal India and tells the story of eternal love, fate, vengeance and justice. The production will highlight ABT’s stellar roster of international ballet stars, including Principal Dancers Isabella Boylston, Jeffrey Cirio, Misty Copeland, Hee Seo, Cory Stearns, Gillian Murphy, Devon Teuscher and Christine Shevchenko. This ground-breaking production by Natalia Makarova, after the original choreographer and the “father of classical ballet” Marius Petipa, includes music by Ludwig Minkus, specially arranged by John Lanchbery. The famed Kingdom of the Shades scene, from Act II of La Bayadère, one of the most celebrated excerpts in all of classical ballet, will showcase the corps de ballet in gossamer white tutus, who fill the stage in mesmerizing, perfect unison. 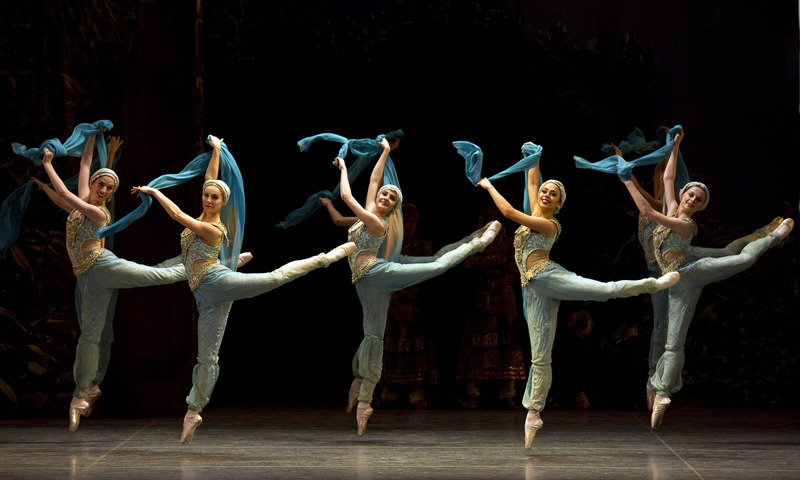 Makarova first staged the transcendent Kingdom of the Shades for ABT in 1974 and subsequently produced and choreographed the complete version of La Bayadère in three acts for ABT in 1980. This version includes the reconstructed final act, which restores much of the original dramatic structure and impact of the early masterpiece. This production of La Bayadère completes the 15th season of Glorya Kaufman Presents Dance at The Music Center which showcases today’s most renowned companies in revelatory programs of both classics and contemporary works. This season included the U.S. premiere of Matthew Bourne’s The Red Shoes; the U.S. premiere of Akram Kahn’s Until the Lions; the Los Angeles debut of Malpaso Dance Company as part of Pacific Standard Time: LA/LA; the world premiere of an all-new George Balanchine’s The Nutcracker® performed by Miami City Ballet; The Joffrey Ballet’s modern retelling of Romeo & Juliet; and Complexions Contemporary Ballet’s tribute to David Bowie, StarDust. Tickets for La Bayadère performances at The Music Center start at $38 and are available online at musiccenter.org/abt at the Dorothy Chandler Pavilion Box Office, 135 N. Grand Ave, Los Angeles, CA 90012; or by calling (213) 972-0711. For groups of 10 or more, call (213) 972-8555 or email [email protected]. Glorya Kaufman Presents Dance at The Music Center is one of the leading presenters of dance on the West Coast. The celebrated series offers significant works by prestigious ballet and contemporary dance artists from around the world. Now entering its 15th year, Dance at The Music Center is a powerful commissioning force, supporting new works and artists-in-residence projects by today’s most influential companies and choreographers. Performances take place throughout The Music Center, including the historic Dorothy Chandler Pavilion, the distinctive Ahmanson Theatre and the iconic Walt Disney Concert Hall, and in locations around the Los Angeles area. The Music Center is Los Angeles’ home to the world’s greatest artistic programs and events with four iconic theatres and an outdoor plaza. In addition to its four-renowned resident companies – Center Theatre Group, the Los Angeles Master Chorale, LA Opera and LA Phil – The Music Center presents an international dance series, free and low-cost public programming and special events and activities for all ages. From its early days, The Music Center has been a pioneer in arts education and offers a multi-faceted program from K-12. With The Music Center On Location,™ the non-profit performing arts organization brings programming to locations outside of its Downtown Los Angeles campus. The Music Center also programs and manages Grand Park, a 12-acre adjacent greenspace, with year-round free programming. For more information, visit musicenter.org Follow The Music Center on Facebook, Twitter, Instagram and Snapchat (@MusicCenterLA).